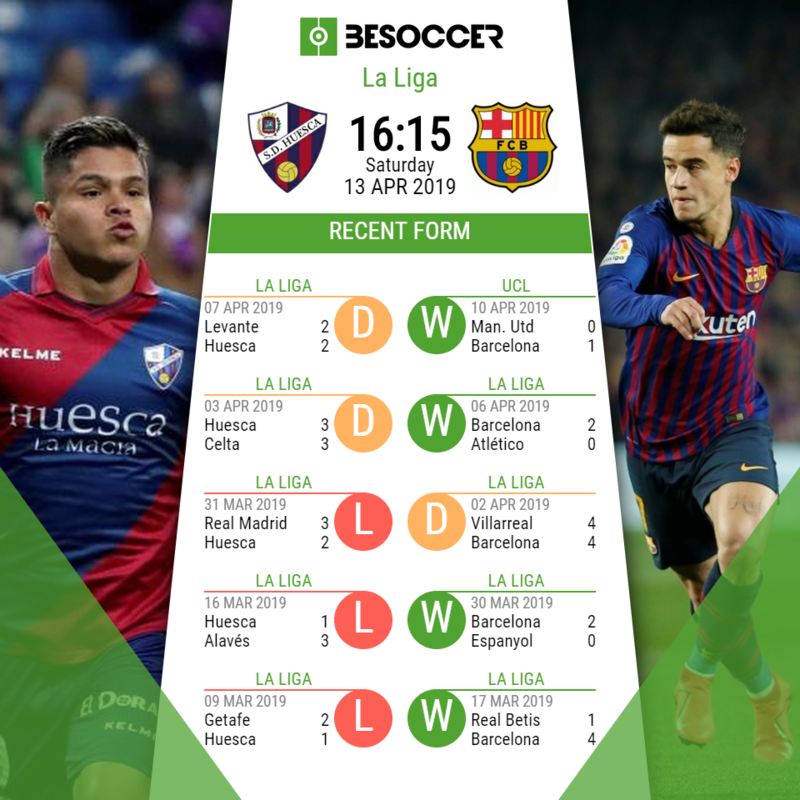 We look ahead to Saturday's La Liga clash between Huesca and Barcelona from the Estadio El Alcoraz! Carlos Akapo and Luisinho are both injured so have been ruled out of this clash for Huesca, but Jorge Miramon may well return to the squad. Cucho Hernandez, on loan from Watford, should keep his place up front while David Ferreiro is an option, having come on from the bench against Levante. The major news ahead of Barcelona's clash with Huesca is that Lionel Messi has not travelled with the team, since he is being rested after suffering a nose injury in the Champions League match against Man United. Sergio Busquets is also left out of the squad. Other absences will be Pique and Suarez who are suspended, while Sergi Roberto, Rafinha and Vermaelen are injured. Rakitic has been suffering with illness and may also miss out. This gives the likes of Coutinho the chance to prove his worth and should start up front with Malcom and Ousmane Dembele, who looks to have recovered from a hamstring injury.